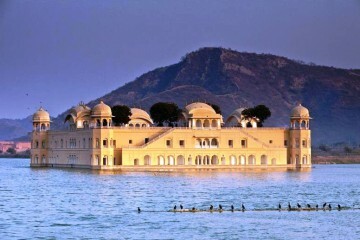 Gujarat is the most scintillating and alluring state with rich architecture and culture, vivid landscapes. Gujarat is the most scintillating & alluring state in India , which is situated in western part of India. 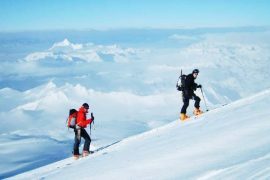 It embraces of diverse national parks and wildlife, rich architecture and culture, vivid landscapes, long stretches of coastal lines, religious and spiritual pilgrimage spots and many more. Adding to these, Gujarat offers warmer climes for some respite. Memories of Mahatma Gandhi, medieval monuments, esteemed temples, Vastrapur lake, Gujarat Four Wheel Dive, beaches, diverse colorful festivals and fairs are popular in Gujarat. We offer spellbinding Gujarat Package with 5 nights and 6 days tour to explore the wonders of Gujarat and to enrich your sojourn experience. After landing in Ahmedabad, our travel guide will take you to the hotel. After relaxing and breakfast, explore the city by visiting Gandhi Ashram, Vaishno Temple, Iskon Temple. In the evening, visit Ashardhan Temple and the grand laser show at Akshardham Temple will enchant you completely. Overnight stay at the hotel. 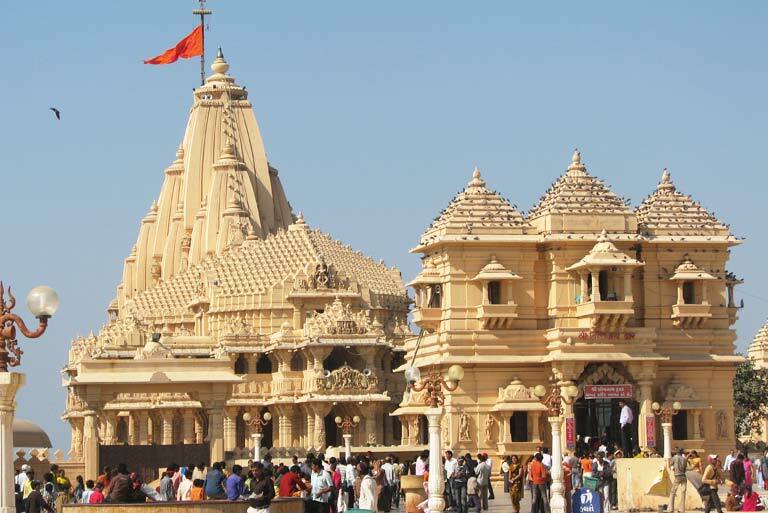 Having the darshan of divine temples on day one, You will leave to Jamnagar after having breakfast on the second day. Visit Bala Hanuman Temple, Lakhota Museum, Lakhota Lake and other temples of Jamnagar. Remember to visit the local markets in Jamnagar. 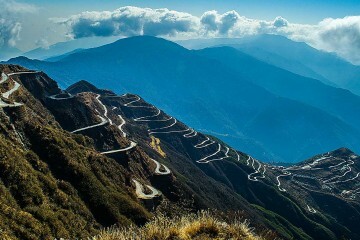 The aforementioned attractions and destinations will make you to enjoy a tour in the vibrant state of India. You can have a serene nap overnight. 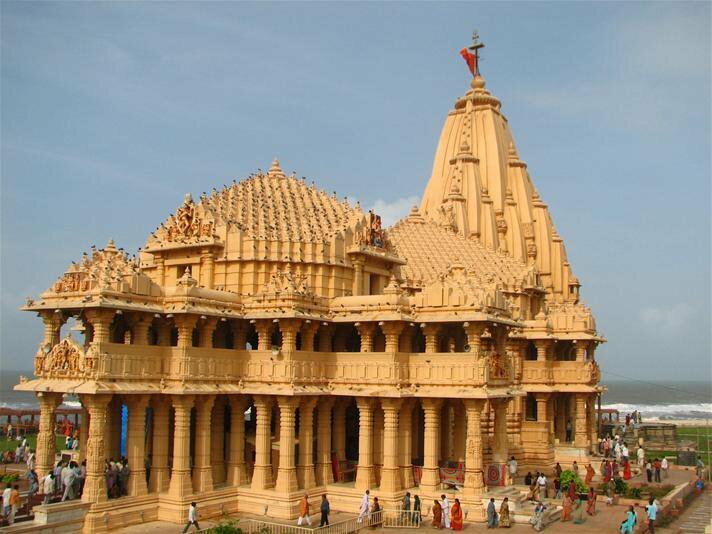 On day 3, you will head to Nageshwar Jyotirling, Dwarka and Rukmani Temple in Dwaraka. After visiting the temples, you will have a toothsome cuisines at Dwarka Residency. You can attend Dwarkadhish temple aarti that gives peace of mind . Overnight stay at hotel. You will be enrouted to Porbander, the birth place of Mahatma Gandhi on the fourth day of your trip. Later proceed to Sudamapuri, Somnath temple and Bharat Mata Temple . Get amused by seeing ‘The Sound and Light Show’ at Somanth Temple Premises in the evening. Spend peaceful night at Somnath. On the fifth day of your tour, welcome your day with electrifying smile as you head to Somnath to Diu, which is popular for blissful beaches, temples, Diu fort and Chruches. Half day enjoyment on the sand and splash within the lapping-waves at beach. Overnight stay at resort. On the last day of your journey, you will head to Ahmedabad for your onward journey to home. 5 Nights —-> Ahmedabad (1 Night), Jamnagar ( 1 Night), Dwaraka (1 Night), Somnath (1 Night) and Diu (1 Night). Right from nature-lovers and esoteric science enthusiasts, everyone will be amused by seeing the wildlife of this sanctuary. 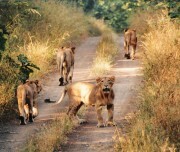 Gir wildlife sanctuary and Gir National Park are also called as Sasan Gir. It is located at Junagadh district in Gujarat. 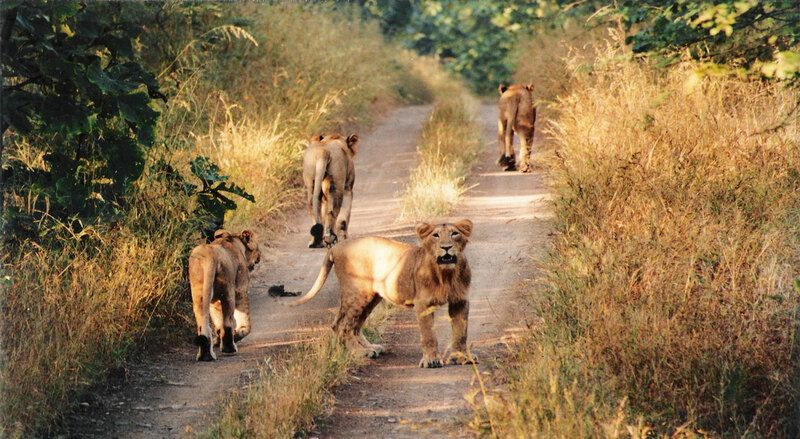 Gir National Park is one of the most popular jungles in India and it is famous for Asiatic Lions and other spieces of cat’s family. Gir Forest National park with over 507 species of flora is home to approximately 250 bird species, 40 combined species of Amphibians and reptiles, long tailed macaca fascicularis, Asiatic Lions, Crocodiles etc. Lose yourself in this spectacular forest. Truly, a feast for the eyes! 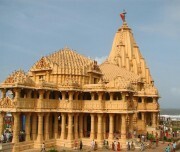 Somnath Temple is one of the ancient temples situated in Gujarat. This picturesque temple is very famous and it is historically significant temple in India. Dedicated to Lord Shiva, mythology says that this temple was constructed by Soma (Moon God), who was freed from a cruse by Shiva. There are many exquisite pictures on the inside and exterior partitions on the walls with sumptuous sculptures. The facades and expressions of the gods on the walls are very beckoning. 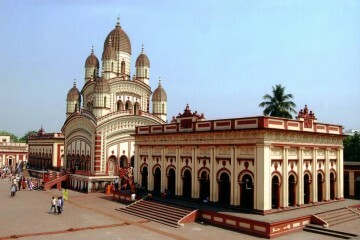 Give positive vibes and seek divine intervention by visiting this temple. 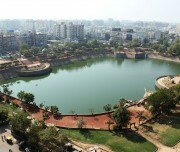 Vastrapur Lake is a spectacular lake that people should visit in Ahmedabad. This lake is situated at the western part of the city. Vastrapur Lake is surrounded by breathtaking mountains and meadows and it provides several perfect photo opportunities. 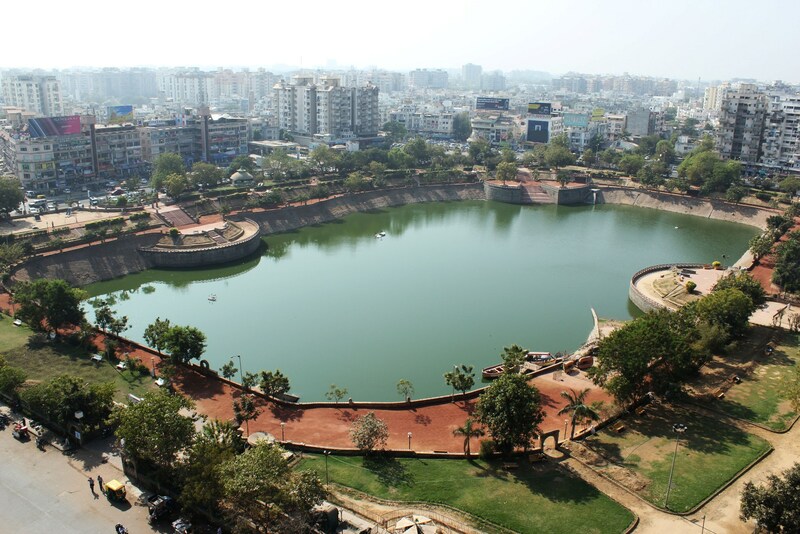 Vastrapur Lake gives a pleasure to enjoy and retreat from the hustle and bustle of city life. 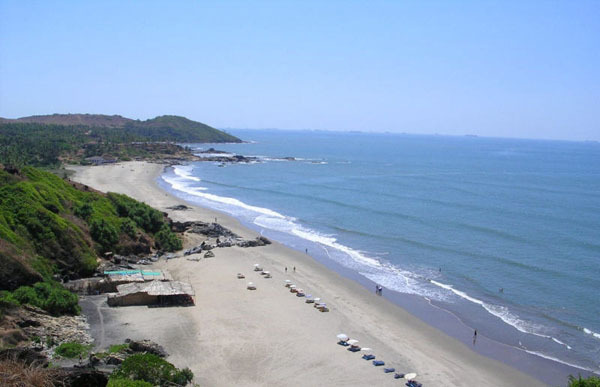 Dumas beach is an urban beach that is located in south west of Surat in Gujarat. 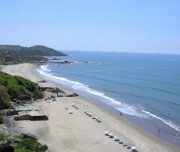 It is a popular tourist destination in Gujarat. You can have beautiful trek walkings alongside the beach. All you need to do is to go with a mood of enjoyment. Witness the elegance of nature here! 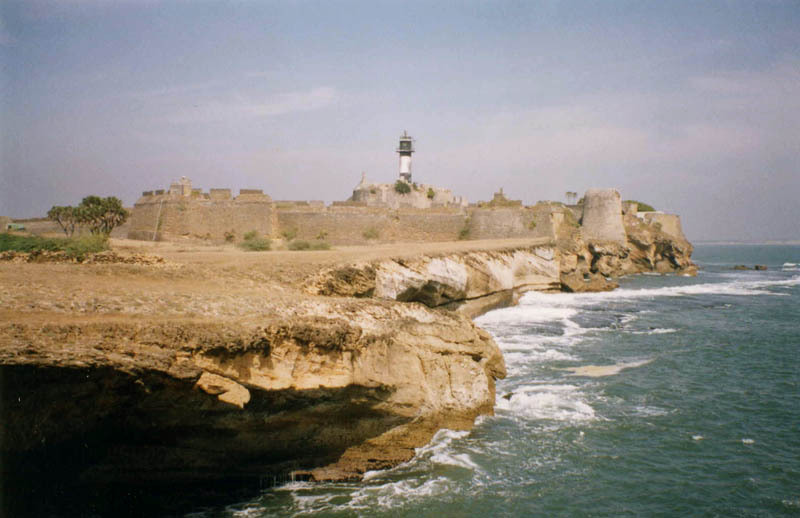 Living up to its name, Diu Fort is a spellbound fort with Portuguese architecture at its best. A visit to Diu Fort is definitely be worth your while. 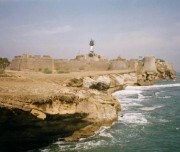 It is considered as a major tourist attraction in Gujarat. 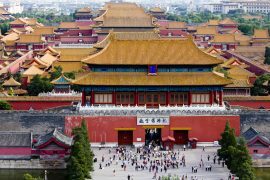 The history and alluring atmosphere make it a great location for those who want to see amazing carves.